Survival and Script inaugurate their new low end driven D&B project Scar with this killer two track transmission for Horizons Music. Lead track "Fair Game" demonstrates Survival and Script operate in perfect studio harmony, focusing on a tight rolling sound that squeezes new forms out of a bass line and will make any dancefloor stand to attention! 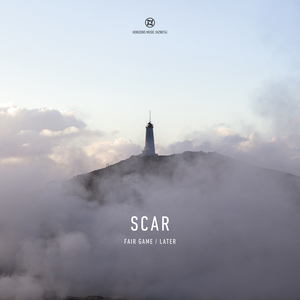 Whilst it has dark undertones, "Fair Game" sounds positively summery in comparison to what Scar are holding back for afters. Horizons state "Later" sounds industrial in its execution, and it's easy to see why, with a tangible sense of weight and grinding metallic tones to the arrangement that sounds overwhelming enough on headphones - just imagine the punishment it can do on a Funktion One!